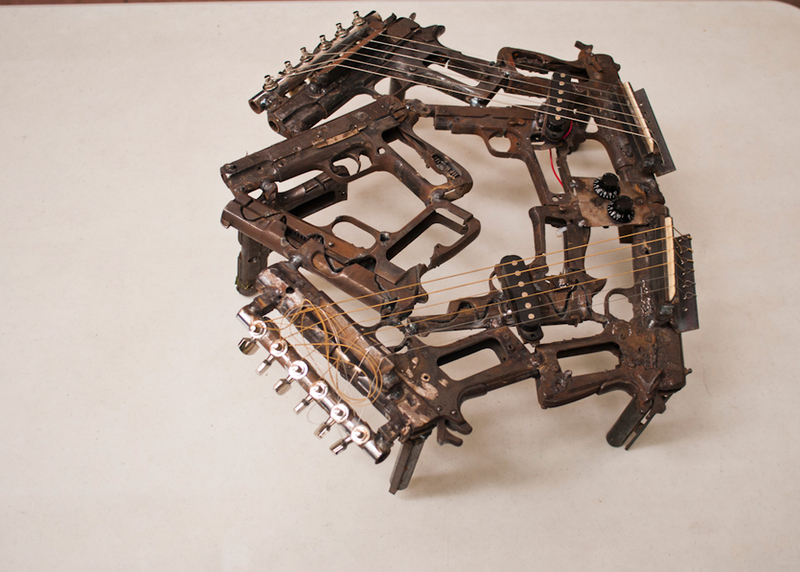 Pedro Reyes transformed destroyed weapons into liberating musical instruments in his latest work "Imagine". Pedro Reyes, Imagine, 2012. Photography Cannon Bernáldez. Commissioned by Alumnos47. Images courtesy of the artist and Alumnos47. Pedro Reyes is a Mexican artist who crosses the boundaries of the worlds of design, film, architecture and pedagogy. 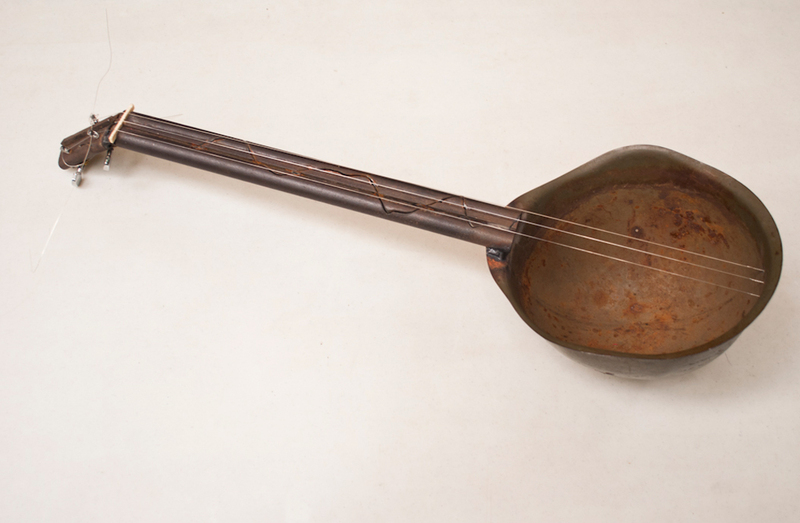 Pedro Reyes has created an orchestra of musical instruments to highlight visible and invisible violence around the world. 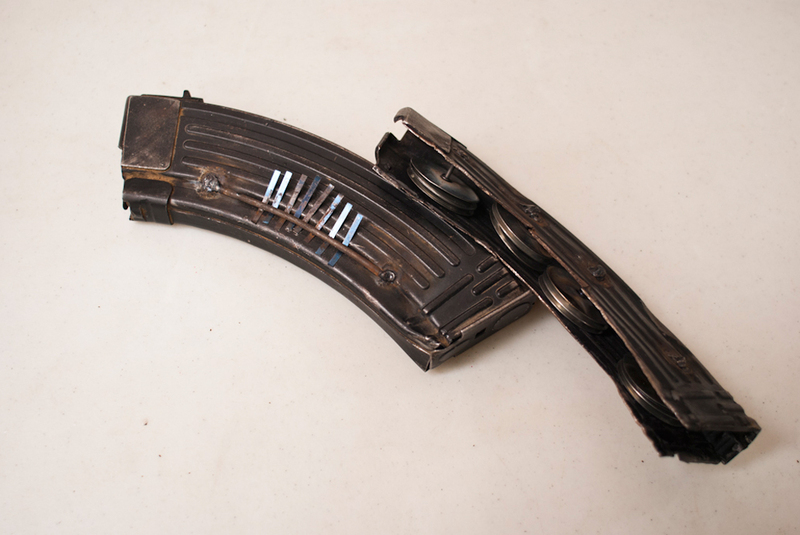 Some 6 700 weapons were gathered in Ciudad Juarez in Mexico and handed over to Mexican artist Reyes, who then fabricated the shotguns, revolvers and machine guns into 50 beautiful musical instruments. Taking around two solid weeks to create, Imagine consists of percussion, wind and string instruments. Reyes worked closely with six musicians to successfully turn the "agents of death" into "instruments of life". The music made by the destroyed weapons aim to free the lives of those they took and express peace to all who are and were affected by violence. Reyes hopes the collection will bring about an awareness of violence throughout the world, as well as question those who manufacture weapons for personal and corporate wealth. Imagine is a progression of Palas por Pistolas designed in 2008 that saw the melting of 1 527 weapons turning them into shovels to plant trees.